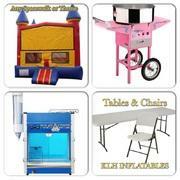 This package includes everything to make any yard party enjoyable. With the so much to do i dont know where to start. From jumping in the bouncer(Larger Red/Blue Bouncer), to never ending horse back riding on the 3 horse carousel, to cruising and relaxing in the train. 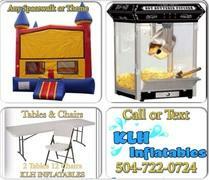 So much to do with this package will defintly keep the party going. 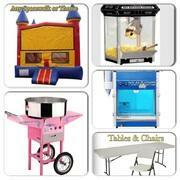 Concession can be chnged to fit your party needs.